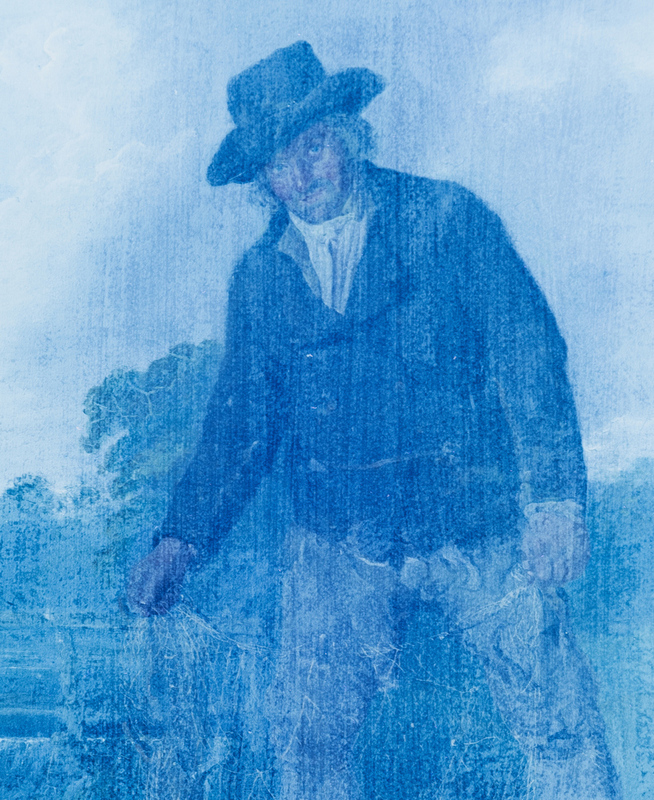 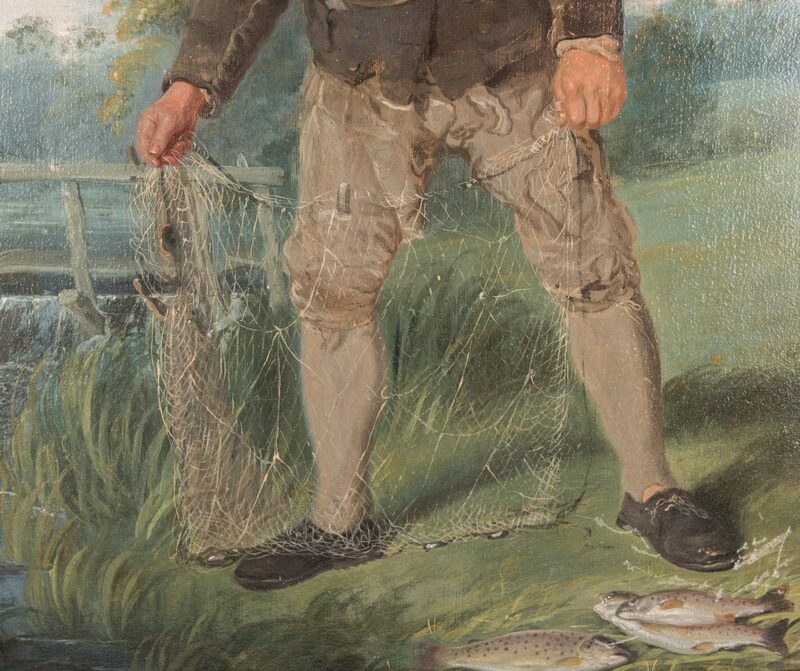 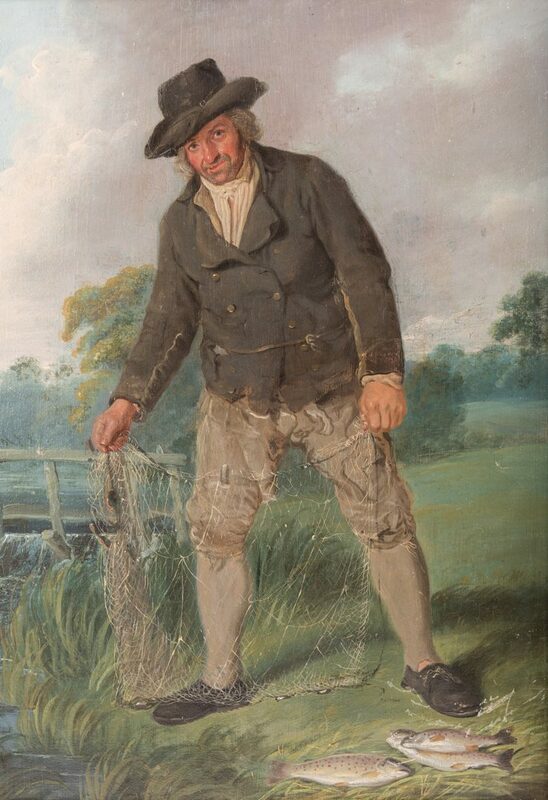 Thomas Sword Good (United Kingdom, 1787 – 1872) oil on board titled "The Poacher" depicting a man standing by a river with a fishing net in his hands and fish by his feet, with a bridge and woods in the background. 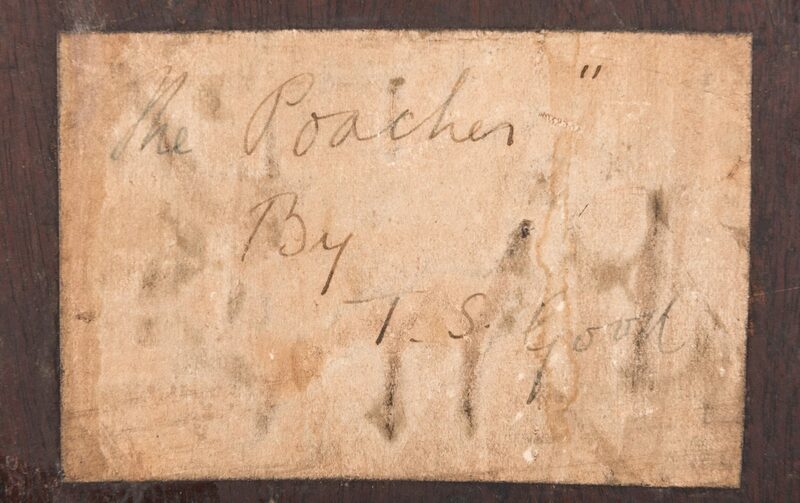 Signed and titled en verso on an old tag "The Poacher by T. S. Good". 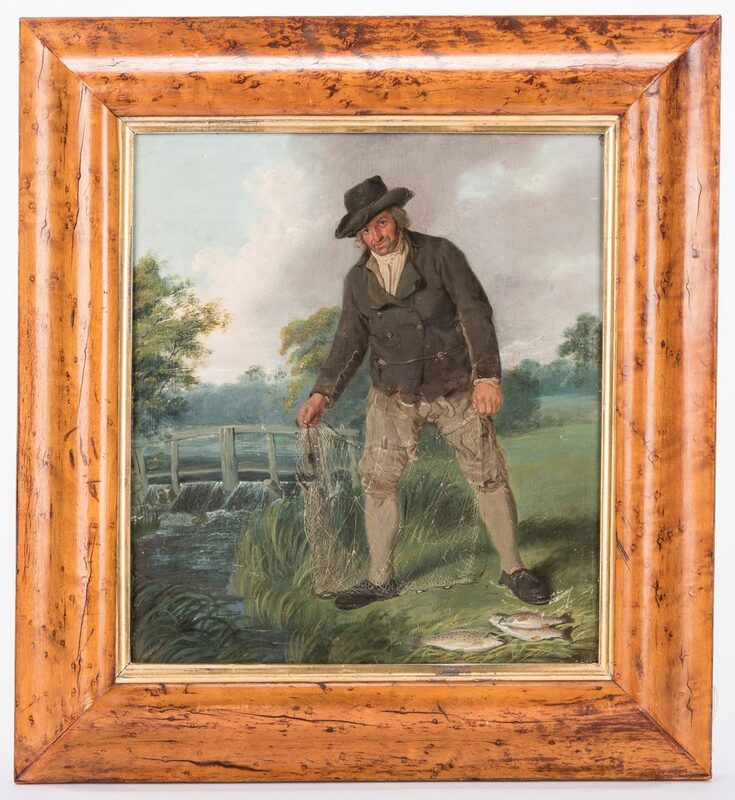 Housed in a carved burlwood frame with gilt liner. 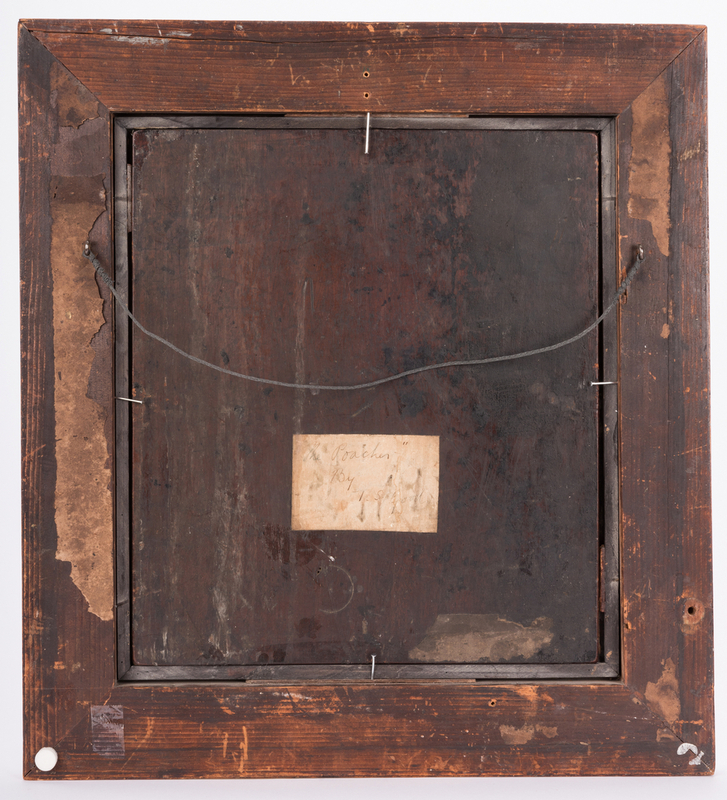 Panel: 13" H x 11 1/4" W. Framed: 18" H x 16 1/2" W. Provenance: Private Nashville, TN collection. 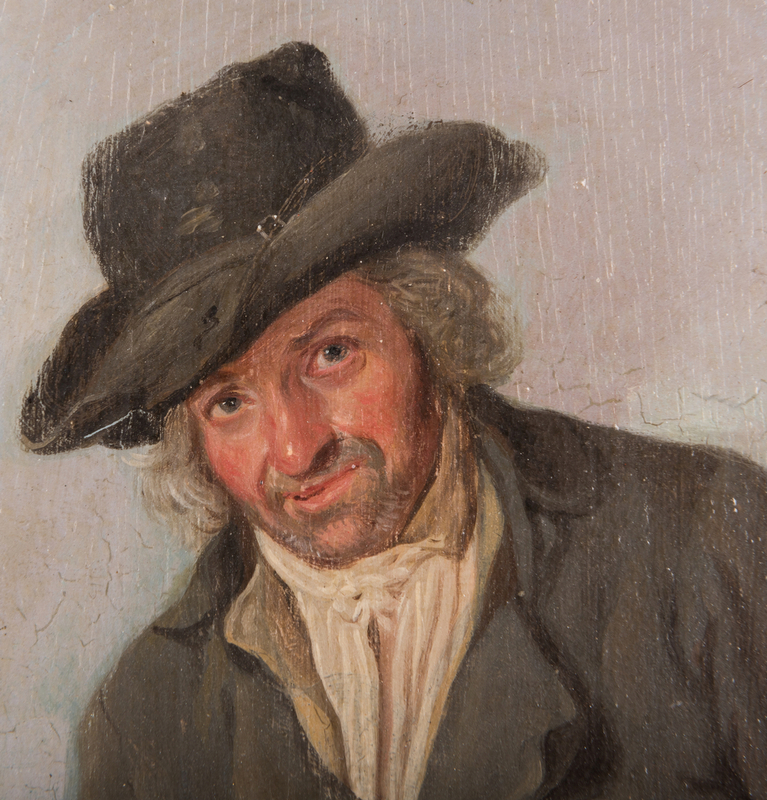 CONDITION: Overall very good condition with a few scattered accretions and light craquelure and very minor rubbing to right margin. 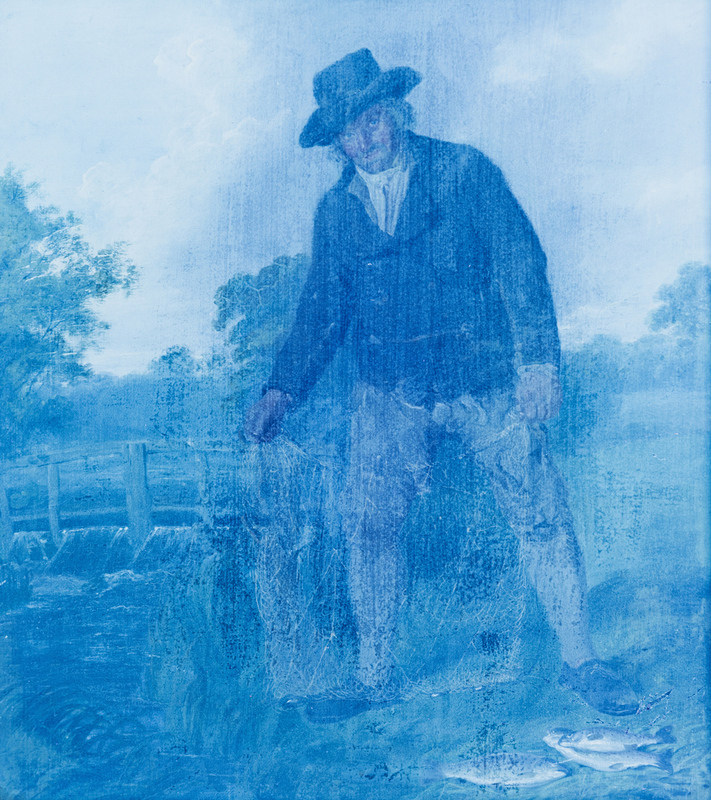 Black light does not show any inpainting or alterations. 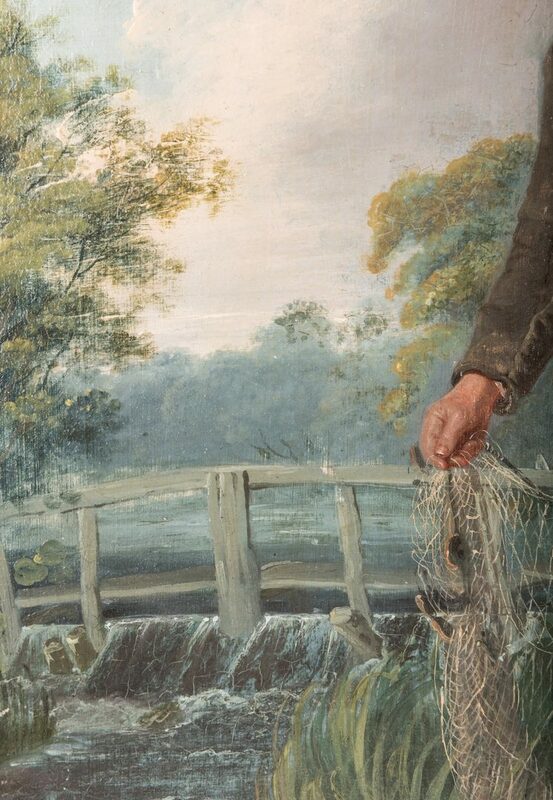 Slightly loose in frame.